When SMB wants to gain further insight into the company’s data with ease one of the more powerful options is SAP Analytics Cloud especially when looking into the gained value compare to the low monthly user license costs. SAP Analytics helps companies make better decisions. We believe that digital transformation is changing the nature of decision making in the enterprise. The evolution in decision-making mirrors an evolution in data and analytics. Democratization and visualization made it possible to decentralize decision-making. But companies are now finding that access and simplicity aren’t enough to support mission-critical business processes. They need to be able to analyze the past while planning and predicting the future, moment by moment in the present. SAP’s BI strategy update, announced in February, means that all future innovation for data discovery use cases will be made in SAP Analytics Cloud. The following FAQ will provide further insight. SAP Analytics Cloud is a single experience for decision making that allows users to discover, visualize, plan and predict, all in one place. Giving everyone, whether in front of the customer or in the boardroom, the power to find new insights and take action. 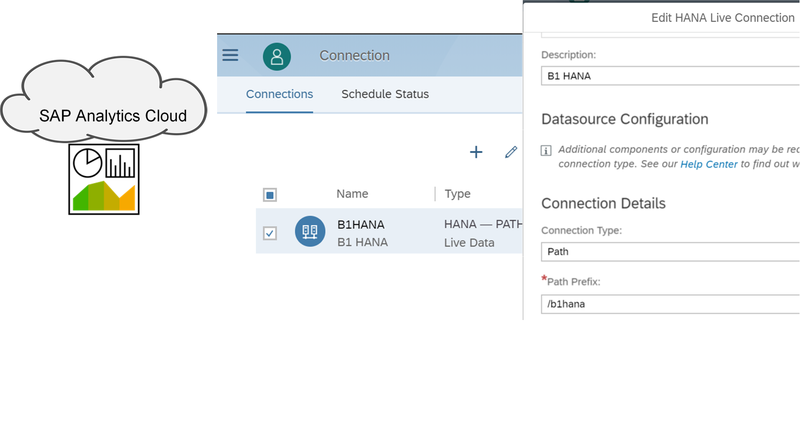 You don’t want to set up a reverse proxy on your local network and put SAP Analytics Cloud behind it. You are not connecting to an SAP Cloud Platform system. 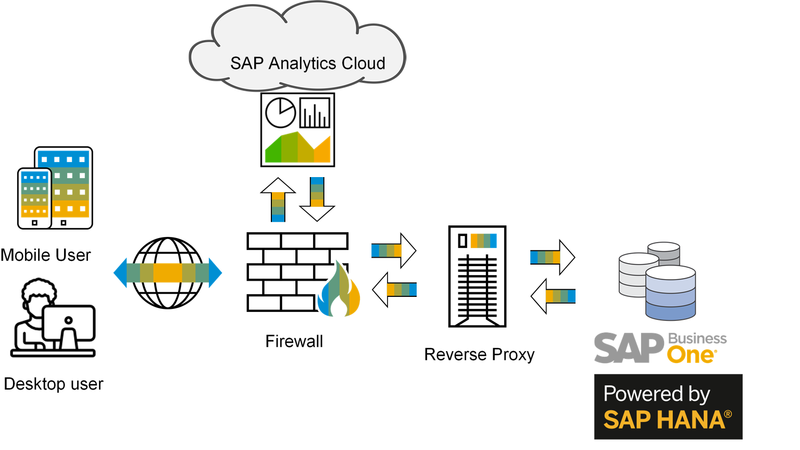 You already have a reverse proxy set up on your local network and must access SAP Analytics Cloud through it. You do not want to enable CORS support on your SAP HANA system. You do not want to configure CORS on multiple systems. You can add multiple systems as paths instead of enabling CORS on every system. Thanks for this Moty! very insightful. I know of some UK partners who are B1 specialists who will be enthused to see this. thanks again. 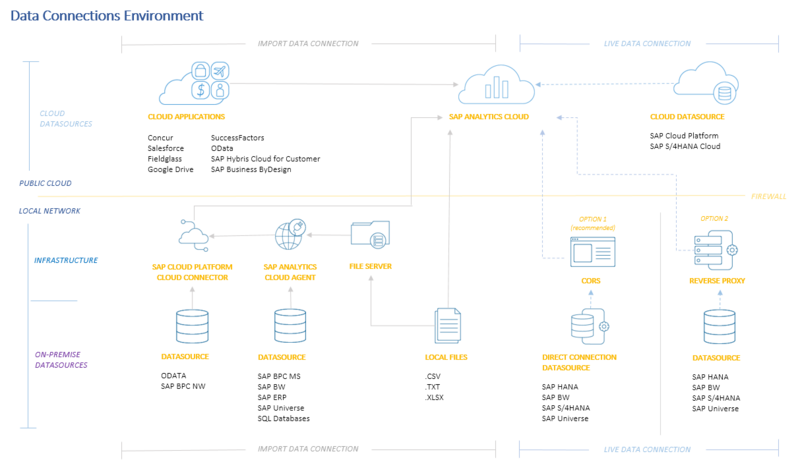 Quick q. from my side, as i’m not familiar with BusinessOne – I take it your architecture will be accessing the HANA DB views directly from SAC side, rather than through B1’s application layer (my assumption). so what licensing does this need from our downstream-client perspective? I mean does the customer need more than (what i would have assumed to be) a HANA runtime license used in B1, but actually a ‘full use’ one to enable (+ possibly adjust/modify?) these views for SAC consumption?